MIRAMAR, Fla., June 26, 2018 (GLOBE NEWSWIRE) — The lush beauty and diverse cultures of Latin America await as Spirit Airlines continues its international expansion, this time from Houston! Beginning September 6, 2018, Spirit will start service from Houston’s George Bush Intercontinental Airport (IAH) to San Salvador, El Salvador* with year-round service running three times weekly to Monseñor Óscar Arnulfo Romero International Airport (SAL). The next day, on September 7, Spirit will begin nonstop flights between Houston and Guatemala City, Guatemala* with year-round service eventually running four times weekly to La Aurora International Airport (GUA). 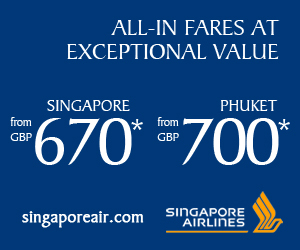 The additions offer affordable fares for international travel to see friends, family, or just for fun! The new routes will complement Spirit’s existing international service between Houston and Cancun and San Jose del Cabo, Mexico, as well as San Pedro Sula, Honduras. The routes are set to strengthen Spirit’s growing network while capitalizing on Houston’s diverse travel needs. The announcement comes just weeks after Spirit announced it was launching nearly a dozen routes from Orlando, Florida to Latin America and the Caribbean. Spirit Airlines (NYSE:SAVE) is committed to offering the lowest total price to the places we fly, on average more than 30% lower than other airlines†. Our customers start with an unbundled Bare Fare™ and get Frill Control™ which allows them to pay only for the options they choose — like bags, seat assignments and refreshments — the things other airlines bake right into their ticket prices. We help people save money and travel more often, create new jobs and stimulate business growth in the communities we serve. Our Fit Fleet is one of the youngest and most fuel-efficient in the U.S. We operate more than 500 daily flights to 67 destinations in the U.S., Latin America and the Caribbean. Come save with us at spirit.com. †Based on data from the Department of Transportation and verified by an independent service.